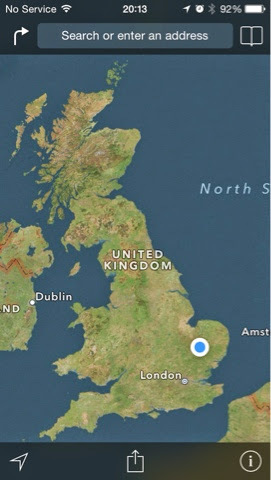 The astute will have worked out from the web address that we shall be travelling clockwise around Britain. Travelling in this direction means that the tide is marginally beneficial in the South and East, and significantly advantageous while crossing the Pentland Firth in Scotland. Theory suggests also that IF the South West prevailing wind is blowing, then the wind in the Westerly part of England and Scotland would be behind us at a time when we are most exposed to the Atlantic swell which has had several thousand miles to gain momentum. Conversely, if the same South Westerly winds blow as we return down the Eastern coasts, and hence would be forward of the beam, there may be some greater shelter accorded by the Eastern coasts of England and Scotland. All well in theory, but in practice the wind will do what it will! There has been a huge amount of passage planning, notwithstanding that it will change the moment we leave port either because of adverse weather, adverse wind direction, changing dates and hence the timing of tidal gates and tides, and of course simply because of plain bad luck! However, we plan on a modest average of 6 knots through the water, and plan on taking advantage of tides where possible. In practice we should be faster, but it is better to be conservative. An average of ten hours a day equates to around 60 nautical miles per day, with overnight stops at marinas, swinging moorings, or at anchor in more remote places. The vagaries of the British weather will of course also play their part! That said, there should be enough wiggle room in our plans to ensure that our timetable can absorb a normal 50% delay caused by weather. And if we can't keep to time, we must remember to be patient as safety means we would stay in port if required, however inconvenient. The six or seven weeks allowed reflects the reality that my hugely supportive crew, like me, have jobs and family to return to, and taking a more leisurely approach is simply not possible. We plan to sail along the South Coast of England, towards Cornwall, around Portland Bill and its very famous tidal race, around the the Lizard and Land's End, then up towards Wales and Milford Haven. We will then either go North along the Welsh coast through the Swellies and Anglesey if we are feeling brave, and on to the Isle of Man. Alternatively, we would leave Milford Haven and sail across the Irish Sea to Arklow, then North along the Irish coast moving out to sea to the Isle Of Man. Having left the Isle of Man, we would then call in to Northern Ireland and Belfast, before sailing across to the Western Isles of Scotland. Then a major decision comes. If a sustained period of reliably good weather occurs at the right time, we would go through the Hebrides, Mull, Canna, Rum Muck, Skye etc., and 'over the top' of Scotland past Cape Wrath and on to the Orkney Isles. However, waiting for such a break in the famously challenging Scottish weather might well impact unreasonably our available time. 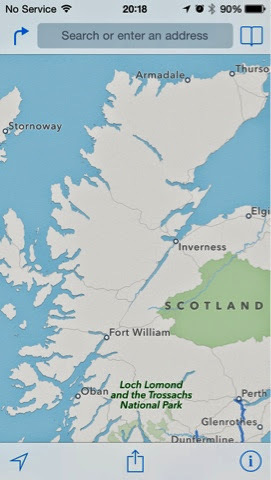 In this event we would have to divert to Fort William and then through the Caledonian Canal, emerging at Inverness, then sail up to the Orkney Isles. So, would this be a true circumnavigation? The pedantic might say not. The generous would acknowledge that the Caledonian Canal is a recognised and accepted alternative taken at times of bad weather...and anyway, the Caledonian Canal effectively makes the top half of Scotland an island anyway, and we would have still circumnavigated mainland Britain! Hopefully we will be able to go over the top of Scotland and aim for Scrabster and the infamous Pentland Forth race, with tides at 12 knots making huge waves at certain times. Either way, having visited the Orkneys however we get there, we will turn South for the return leg down the East coast of Scotland, the Holy isles, The East coast of England, the Wash and its famously tricky navigation, and then round East Anglia and back to Harwich. So, by way of an aid to new and departing crew trying to work out where we might be on a given date (and to provide much amusement when we look back at what I have written), the details go something as follows, each passage representing one day and hence indicating where we might spend the night. Whitehills to Eyemouth 139nm night sail. This is all, as they, say of course subject to change!! !